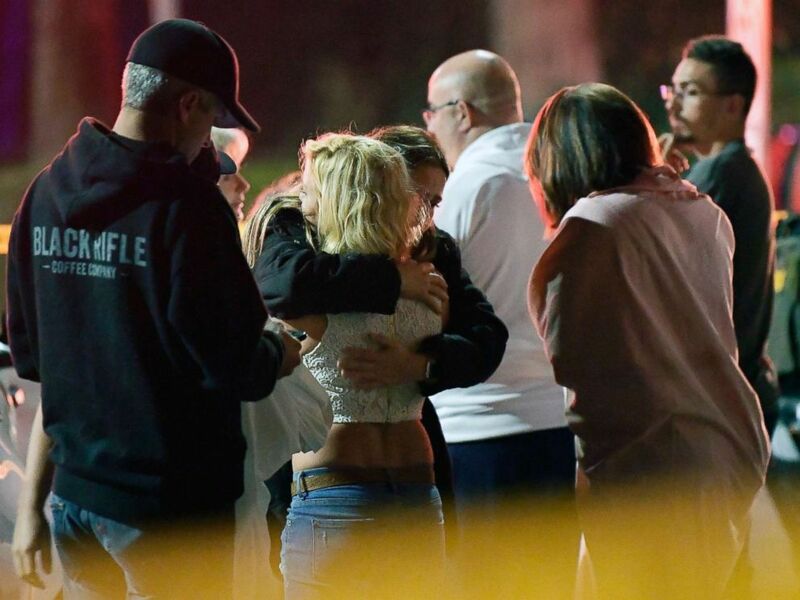 At least 12 people, including an officer, were killed late Wednesday when a gunman opened fire in a packed Southern California bar during its “college night,” leaving the community of Thousand Oaks in shock and in mourning. Ventura County Sgt. Ron Helus, a 29-year veteran, was killed in the line of duty, Dean said. Helus, 54, was one of the first on the scene and was shot multiple times when he entered the bar, the sheriff’s office said. 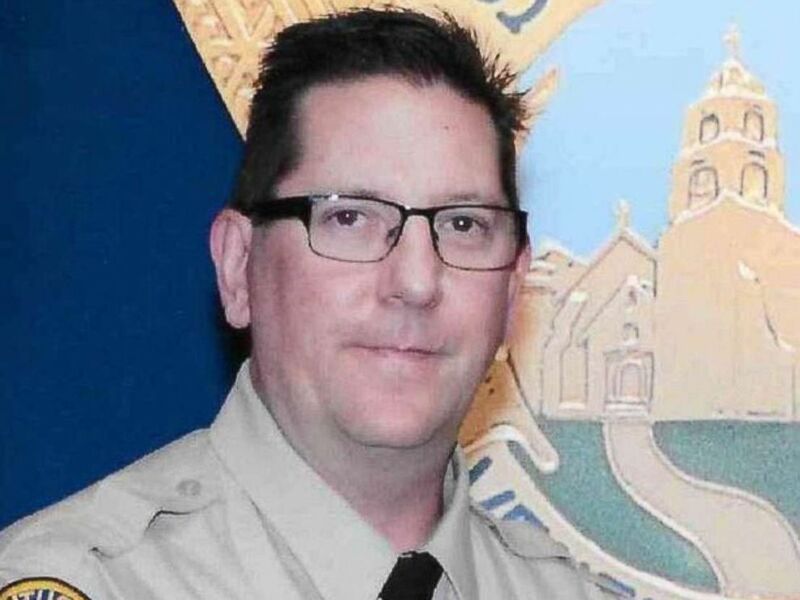 An undated photo of Ventura County Sheriff Sgt. 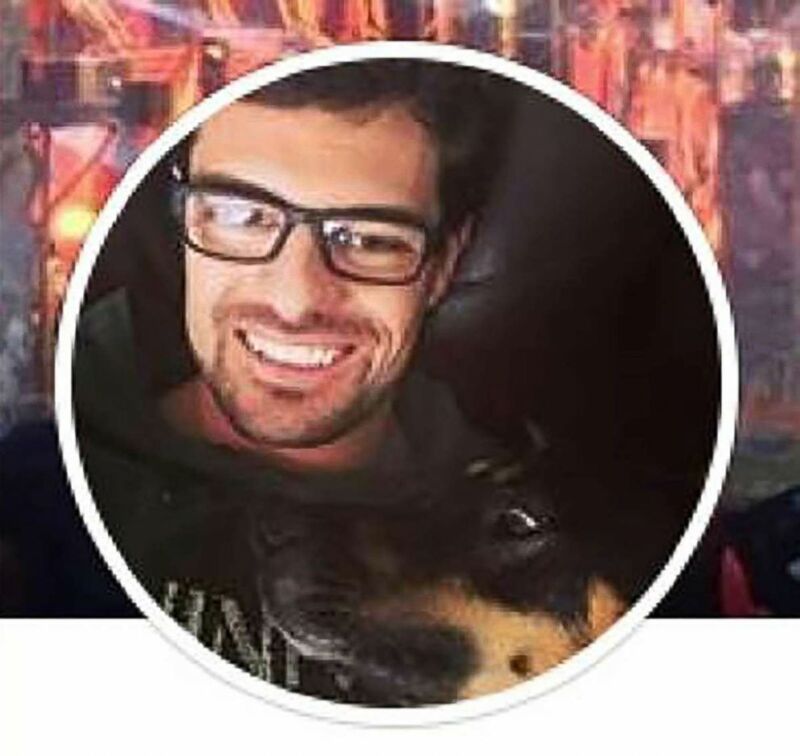 Ron Helus, who was shot and killed in a mass shooting at a Thousands Oaks, Calif., bar, Nov. 7, 2018. 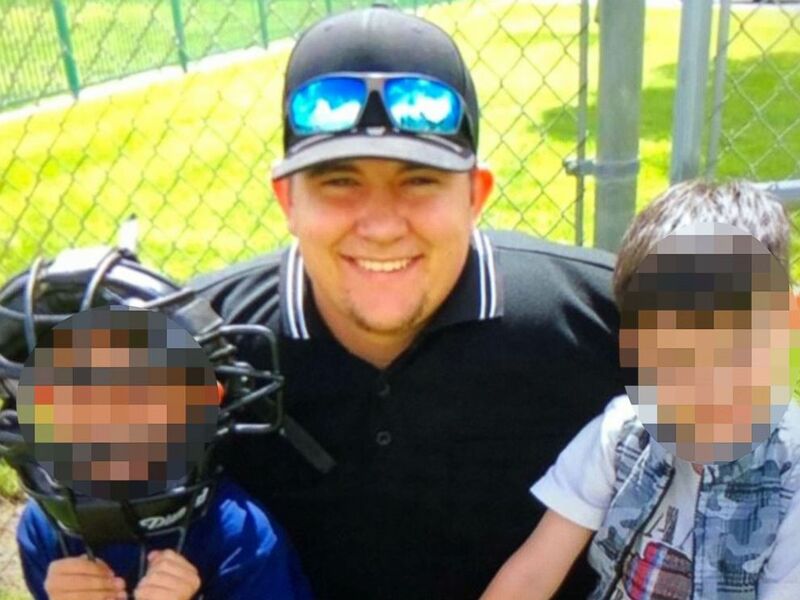 Cody Coffman, 22, is pictured in a photo distributed to the media by his father, Jason Coffman, who says that Cody is one of the victims of a mass shooting in Thousand Oaks, Calif., on Nov. 7, 2018. Among those inside were six off-duty police officers, who reportedly “stood in front of my daughter” to protect her after the gunfire rang out, one parent told the sheriff. 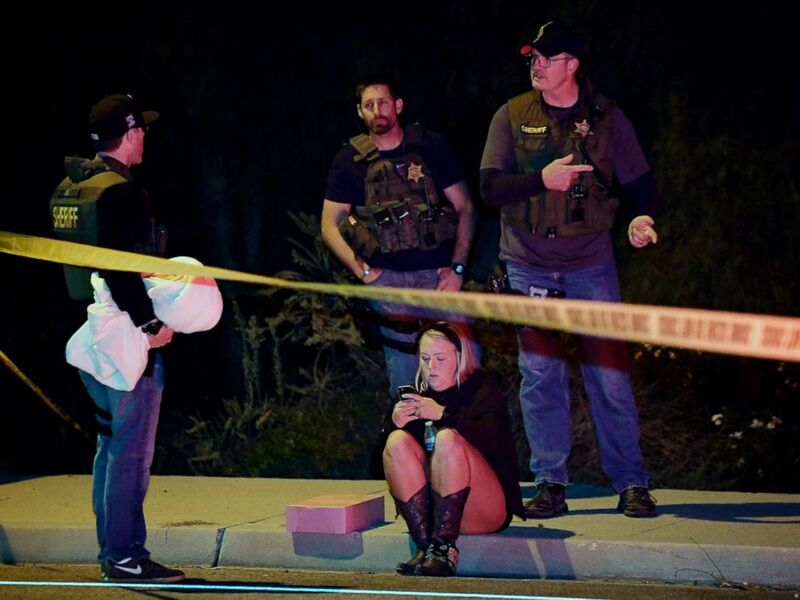 Sheriff’s deputies speak to a potential witness as they stand near the scene where a gunman opened fire, Nov. 8, 2018, in Thousand Oaks, Calif. 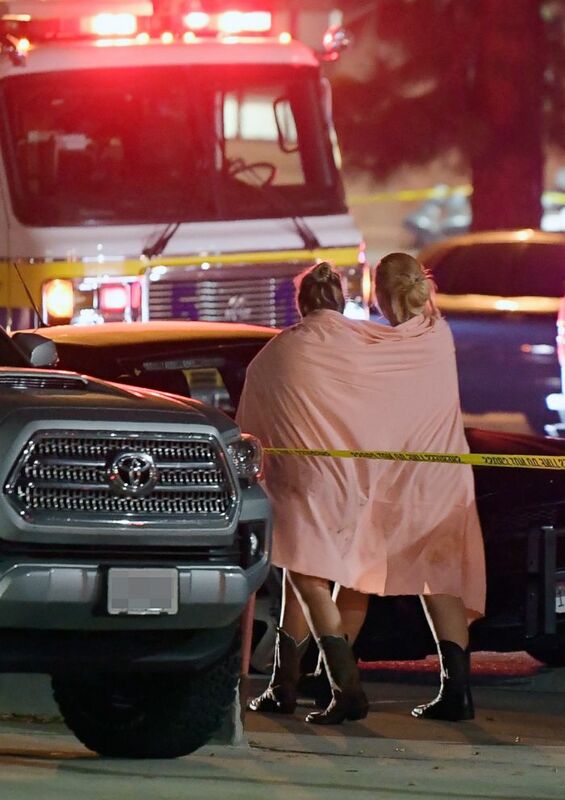 Ten people with gunshot wounds or lacerations were sent to Los Robles Regional Medical Center for treatment and have since been released, hospital officials said. 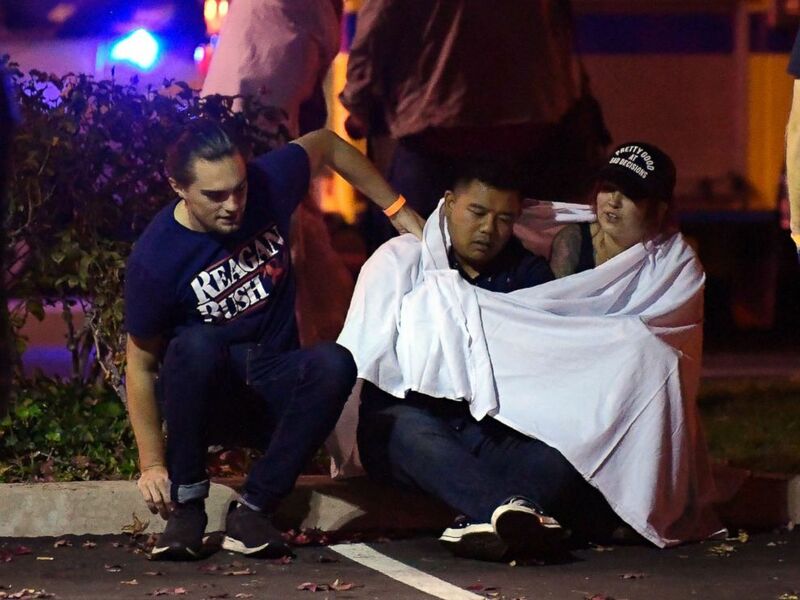 A victim is treated near the scene of a shooting, Nov. 7, 2018, in Thousand Oaks, Calif.
As parents waited outside, they “pinged” their children’s phones, some of which were left buzzing inside the bar. 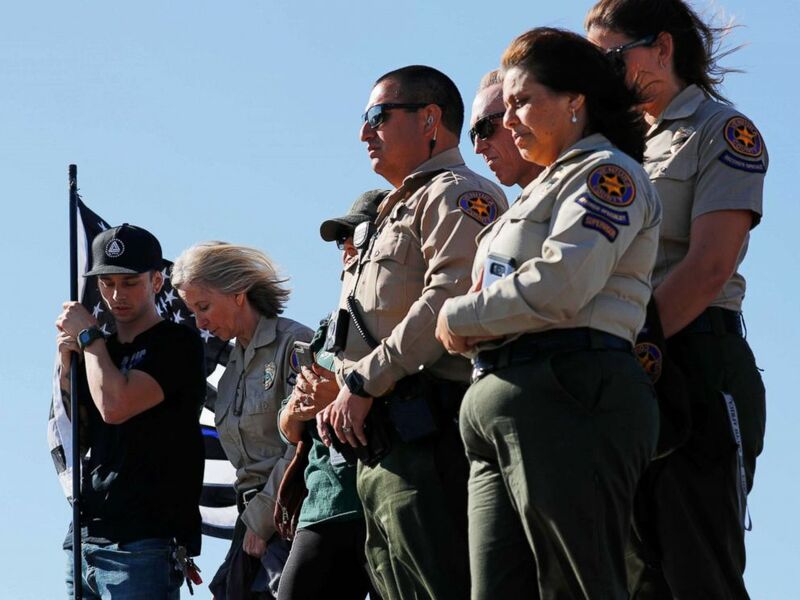 Ventura County Sheriff officers await a procession for the body of Sergeant Ron Helus, who died in a shooting incident at a Thousand Oaks bar, in Thousand Oaks, Calif., Nov. 8, 2018. “I love this place — it’s our usual hangout. My parents trust me going here,” college student Erika Sigman told ABC Los Angeles station KABC. 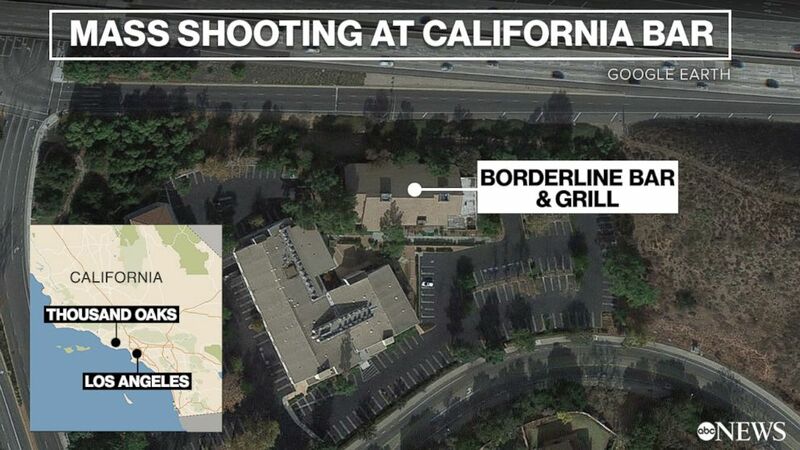 A mass shooting unfolded at the Borderline Bar and Grill in Thousand Oaks, Calif., Nov. 7, 2018. Meanwhile, investigators are working to determine the suspect’s motive. There’s no apparent connection between Long and the Borderline Bar, the sheriff said. This April deputies were called to his home for a report of “subject disturbing” and found Long “somewhat irate,” said Dean. Mental health specialists met with him, Dean said; however, they “didn’t feel that he was qualified” for involuntary psychiatric commitment. ABC News’ Will Carr, Josh Margolin, Katie Kindelan, Morgan Winsor, Will Gretsky and Elizabeth Mclaughlin contributed reporting.